A hassle-free journey to Roorkee with an experienced chauffeur. Pick up from your desired location in Dehradun. Company of an experienced driver. 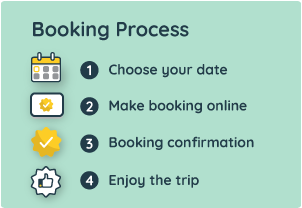 Hassle-free booking and bargain free payment. Roorkee, home to the first train service in India, the first engineering college in Asia and an undulating array of natural wonders to gaze at. The city is developed on the banks of Ganges Canal, which flows from the north-south through the middle of the city. Your transfer starts with a pick up from Dehradun city limits at your specified time slot. You will be traveling a distance of about 70 km from Dehradun and it would take you about 3 hours to reach Roorkee inclusive of your stops for refreshments. Upon arrival in Roorkee, you will be dropped at your specified location in city limits. Pick-up and drop to hotel/residence in Dehradun city limits and Roorkee city limits respectively.